Brian has worked as a musical director, fixer, musical arranger and producer on many shows over the past 10 years. 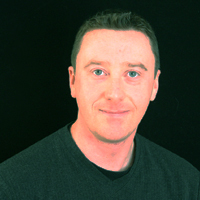 Now focusing on Barisons Productions Brian oversees every aspect of all the musical shows in our portfolio. Ruth’s choreography is respected and sought after across the world. She is a well-established choreographer with a distinctive style whose work is highly creative. Her high standards are at the heart of everything we produce. 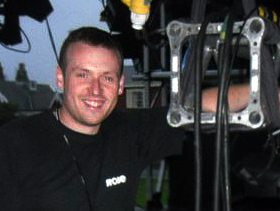 Dan has been lighting shows for over 10 years for various events including the Lytham Proms, Legends in Concert (Blackpool) and is a trustee for a local theatre in Lytham St Annes. His passion in creative and entertainment lighting led him to being a consult on lighting design nationally. Tom started working theatre at a young age and has been involved in sound for many years. He begun as a casual technician at the Epsom Playhouse, Surrey before touring with a number of productions companies throughout the UK and Europe. He has tour most venues in the UK including the Hammersmith Apollo and the Metro Radio Arena as well as working on shows as diverse as Thomas the Tank in Budapest Arena to the Rat Pack in Cairo Opera House . 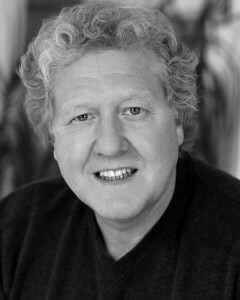 Iain has been involved in the entertainment business for 35 years during which time he has had extensive experience as an actor, director, writer and producer. As an actor he worked on many Dramas and TV series but also presented on BBC Playschool for 8 years, the very successful Fingermouse series for BBC, BBC Playdays, Storytime and Fun Song Factory. His partnership with Will Brenton has spanned the last 15 years and has produced a number of successful programmes to date. The most successful of these being Playdays for BBC, Fun Song Factory for Universal and ITV, the Tweenies, Boo and BB3B for BBC. He started working with his writing partner Will Brenton in 1994 when they were involved in writing and performing Pantomime which Iain still does every Christmas. Iain’s main role, since that time, has been mainly as creative partner, writer and producer. Iain was series producer and script editor on the very successful Bafta winning children’s series Tweenies, Producer on Boo and BB3B, Fun Song Factory and Jim Jam and Sunny for ITV and was responsible for delivering top quality programmes on time and true to the pre-school genre. 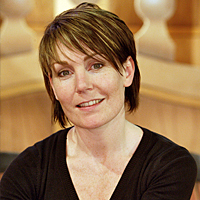 In February 2006 Iain and Will started Wish films with Helen. Their first commission was making 260 episodes of Jim Jam and Sunny for ITV. This was a high quality, high profile live action costume series for pre-schoolers. In 2008 year he produced a preschool animation for CBeebies called Wibbly Pig which aired in September 2009 and is still running. He also set up a new pre-school live action programme called Mighty Mights which was written as a vehicle for the very popular Sarah Jane Honeywell and aims to inspire pre-schoolers to get up, get out and try some activities… It is running very successfully on CBeebies. Director Iain also directed all of the live theatre and arena shows that the partnership has written. These included 2 Playdays live tours, 5 Tweenies Live Arena shows, 2 Thomas the Tank engine Arena shows, Noddy, Bob the Builder show at the Science Museum, 4 CBeebies Live Arena tours. Bratz and Zig Zag Live for Portugal. One of their latest challenges was to write and mount the Bob the Builder world theatre tour which has toured Europe and the US. Iain is now working with Barisons on their first Children’s Show as director and writer.